I always love working on product evaluations, as they give my son and I wonderful benefits. I was given the opportunity to do a SnoozeShade product review, which was fantastic! I felt so enthusiastic about this product, because it helps create a calm and peaceful sleeping environment in the stroller for my son (or future baby!) while outside of the house. Before, when my son was still an infant, the shining sun’s glare would always bother him in the stroller when we headed to the park or the store. I, myself, found it very uncomfortable all the time. My solution was bringing along a blanket to drape over the stroller as a cover. However, this proved to be inefficient and annoying, because the blanket usually fell out and I had to stop and put it on again. While doing this, there was also the risk of disrupting my baby’s sleep. That’s why I was quite thrilled to review SnoozeShade Original – Deluxe, which retails for $39.99. · SnoozeShade Original - Deluxe provides excellent sun protection and shields baby from over 97% of harmful UV rays with UPF40+ throughout. · SnoozeShade is endorsed by international baby sleep experts and approved by the INPAA (Infant & Nursery Association of Australia). · You can use it in four ways for shade or sleep. · The front zippered flap gives you the ability to check on the baby with ease. 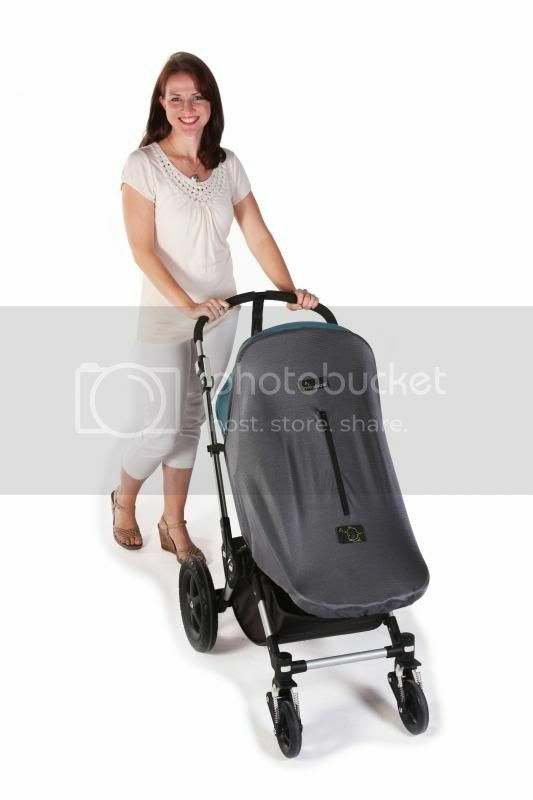 · SnoozeShade quickly fits all strollers, is easy to remove, and folds up small. · Made from soft, durable, lightweight, stretchable, and breathable premium silver fabric. · One size fits all single strollers, including 3-wheelers. · SnoozeShade Original - Deluxe is very handy and not bulky, which means I can take it with me wherever I go. · The fabric is soft and breathable, so infants can breathe normally and with ease when the SnoozeShade Original - Deluxe is in use. · Helps infants sleep undisturbed. · It is so awesome that SnoozeShade Original - Deluxe fits all Prams, buggies and strollers. · The zippered flap in the middle gives you the ability to check on the infant without having to open the whole cover. · SnoozeShade Original – Deluxe’s UF40+ sun protection ensures that baby stays safe from the sun. · You can use SnoozeShade whenever you are out and about with the little one. · No more having to drape blankets over the strollers. · SnoozeShade Original – Deluxe makes everything easier for my spouse and I. · It is a simple concept that proves to be a big help for mothers who want to maintain baby’s sleep schedule while out and about. I do find this product to be very useful. Now we won’t have to worry about not being able to help our little one sleep and stay safe from the sun while in the stroller or car seat. To learn more and to purchase your own SnoozeShade Original – Deluxe, visit their website. You can also like them on Facebook and follow them on Twitter and YouTube. This sounds like a very good product for those with children in strollers! My niece will be having a baby in February--will definitely keep this in mind!! What a great product! Sun damage is especially harmful to young skin, increasing the risk of skin cancer later in life. We are past the stroller years in my home, but I will be sure to let my friends with younger children know about SnoozeShape. Very nice and love that it blocks sun! Love when you can block the sun and get your little kiddos some better comfort. Oh wow that is really neat! I wish they had that product when my son was younger. It looks like a product every parent with small children needs. This is really nice especially these days that heat waves is making its way. that is perfect for little kids, too bad I don't have little ones anymore. Where was it when my kids were little?